We employ some of the most-skilled and experienced Layton, Utah appliance service and repair technicians in the business. Our trained professionals have experience with a wide range of the most commonly used appliances, with varying degrees of damage. Dishwashers are one of the most common household items in the home to break down. It is important to make sure that any items that you put in the dishwasher are designed to be cleaned in this way. Failing to do so can ruin the delicate components inside. Expensive lead crystal items should never be machine-washed because of the potential to damage the glass, and to contaminate the dishwasher. Certain metal can become damaged or discolored if they are washed even in one of these devices. When these appliances malfunction they often leak water in areas that are difficult to access. This is why it is important to repair damage as soon as you notice it. Famous Appliance Service provides some of the highest quality repair services in the area, at some of the most affordable prices. Garbage disposals are another common household item that breaks down. There are many ways that you can help extend the life of your system. People do not realize that it is important to run the garbage disposal frequently to eliminate waste from building up in the system. You should run cold water while you are running the disposal to ensure it can run and clear properly. The most common reason for one of these devices to stop working is because of something too large, or too rigid to be chopped up. This can instantly clog the system and even cause damage. Washing machines and dryers are also common household appliances to break down. Dryers in particular can be dangerous if they are not properly maintained. If you feel for any reason that your dryer may not be working properly, it is a good idea to have it inspected by a professional. Call us today to schedule a consultation with one of our trained technicians. Many people in our area have stand-alone freezers. They are very popular because they allow families to buy more food in bulk to store. Even meat can be stored for around a year if kept at a low enough temperature. When your food is stored in smaller portions, not only will it freeze faster, it will also thaw and cook better. While these are generally considered to be one of the more reliable and efficient home appliances, they can be very expensive to replace. In many cases, we are able to simply repair your existing unit for a fraction of the cost. This is true with many of the appliances around the home. Repairing the damage to an existing unit is almost always less expensive than replacing the entire appliance. We keep many parts in stock to help speed up our repairs. 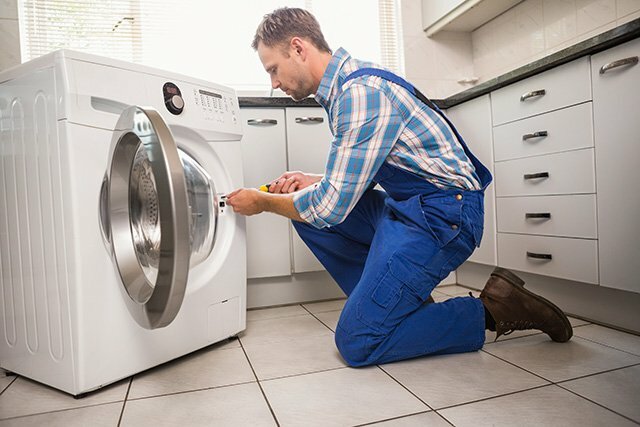 Have a question about our appliance repair services? Just fill out the form below and we'll contact you to setup a service appointment. We provide a 90 day warranty on all parts and labor. We use Genuine Factory Replacement Parts so we can get the job done right the first time. We have Factory Trained Technicians that really know their stuff. © 2017 Famous Appliance Service in Utah. All Rights Reserved.